Friends of Tibet is sad to hear the demise of Prabuddha Dasgupta, a prominent photographer and a true friend of Friends of Tibet. Throughout his life Prabuddha remained in love with nature and the traditional Buddhist way of life. His association with us began from the ?Festival of Tibet 2000? organised by Friends of Tibet in the year 2000 in Mumbai. The celebrity photographer of India made few trips to the city before he finally got involved with the six-day long festival inaugurated by His Holiness the Dalai Lama. He spent the entire week in city participating and chatting with hundreds Buddhist monks and activists who had travelled to the city from different parts of the globe. I still remember Prabuddha standing like a little obedient child at the Festival venue waiting to see a glimpse of the Dalai Lama. He was carrying a silk scarf and a copy of the book ?Ladakh? 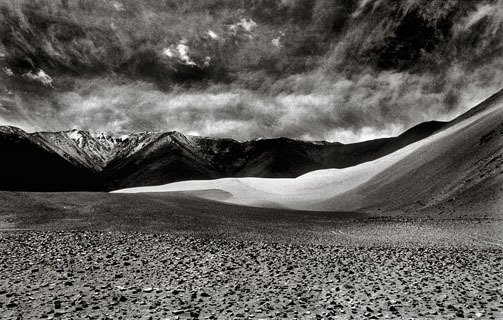 – his photographic exploration to ?India?s last wilderness?. Instead of getting his photography book autographed, he presented the same to His Holiness whom he considered special. He was blessed by the Dalai Lama. For His Holiness the Dalai Lama. With the prayer – your voice and your spirit will awaken the world in this new century. Prabuddha, as his name suggests was indeed an enlightened one. He will remain an inspiration to all of us. Our heartfelt condolences. ???????? ?? ????? ?, ??? ????? ???? ?, ????? ????? ?, ??? ?.